Obituary for Harry I. Becker | Milkins Giles Funeral Home Inc.
Harry I. Becker, 93, of Laureldale died Sunday in his residence. He was the husband of Darlene S. (Herber) Becker. They shared a loving marriage of 59 years. Harry was born October 1, 1925 in Temple. He was the son of the late Charles I. and Katie (Wegman) Becker. Surviving in addition to his wife is a son, Paul H. Becker with whom his parents resided. Also, surviving is a daughter in law Linda (Sundheim) Becker widow of Glenn C. Becker who died December 6, 2011. Two Grandchildren; U.S. Army Captain Adam Becker of North Carolina, and Melissa Becker of Hagerstown, Maryland. Harry retired from the former Luden’s Candy Company as a candy maker with forty-one years of service. He served his country in the U.S. Army during World War II. 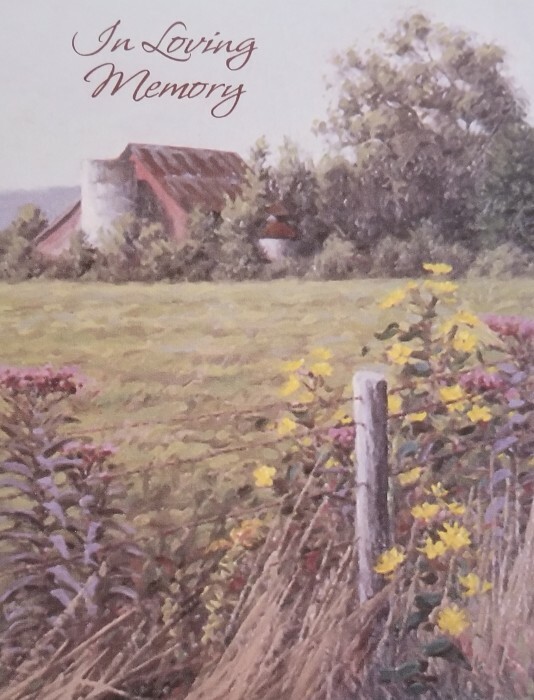 Funeral services from Good Shepherd United Church of Christ, 170 Tuckerton Road, Reading, PA 19605 on Friday at 11:00 A.M. with Reverend Janet C. Boyd officiating. Interment in Good Shepherd Cemetery. Family will receive friends at the church on Friday 9:30 A.M. until time of service. Contributions would be appreciated in Harry’s name to Good Shepherd United Church of Christ at the above address.